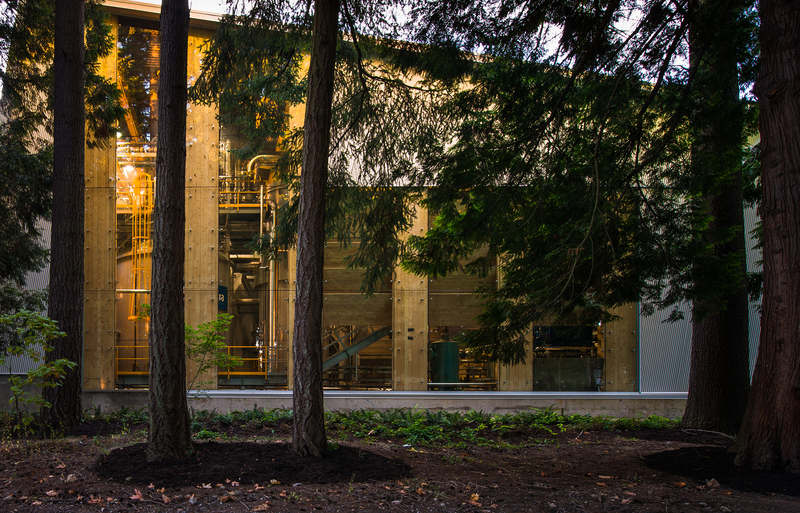 The Bioenergy Research & Demonstration Facility (BRDF) significantly advances The University of British Columbia’s sustainability leadership by using alternative fuel. The considerable investment in this project required that this wood-fuelled facility establish its many values to the community, in energy, economic, architectural/engineering terms; and ensure partners and potential funders were aware of the significant advancement it represented. We engaged cross-functional teams to create a report on all the unique aspects to the academic and commercial audiences. Working with ceremonies, public affairs and development we created a framework for highlighting its unique properties and values and produced an opening event that attracted stakeholders from multiple sectors. To reach audiences interested in generating power and heat using local fuels, we presented a communications strategy and tactics with an emphasis on developing messages and providing materials to inform and engage audiences. UBC’s BRDF received significant recognition and further support for its leadership in delivering heat and energy at a community scale using alternative fuel and awards from sustainability advocates across the country. The engagement enhanced relations with partners and built new communications in energy. The facility offered intriguing stories about the roll of wood to reduce carbon and create energy and was an excellent vehicle to build out partnerships which helped it gain recognition and win numerous awards.